Tom Butler’s business card has the words “Power in the Poop” printed across the creme-colored cardstock. Flip it over, and you’ll see an aerial photo of his farm: 10 narrow hog houses in a neat row along a sandy dirt road. Behind them are three huge, mint-green tarps that Butler uses to cover his “hog lagoons,” or the large pools that collect millions of gallons of hog feces and urine from his 6,000-plus herd. Butler’s lagoons generate electricity for his farm operations, hence the striking tagline on his business card. Butler first covered his lagoons back in 2008 “to get rich off of carbon credits,” he said. By capping and preventing the release of carbon dioxide emissions, farmers earn credits that they can in turn sell to companies that want to emit more CO2 than they are permitted to release into the air. In 2008 Butler stood to earn $180,000 in one year from selling carbon credits, just by covering his three hog lagoons, pumping off the methane and burning it in a bright, blue flame. When the market for carbon credits plummeted, Butler’s covered lagoons — while they controlled odor and greenhouse gas emissions — were virtually useless in creating an income from carbon credits. In the end, Butler received only one $1,100 check for his carbon offset. When Butler realized he could turn the methane captured from his lagoons into electricity instead of burning it off, he applied for grants from the Farm Bureau and the North Carolina Green Business Fund, among others, to pay for the needed equipment. His system was up and running by the end of 2011. You could argue that Butler’s waste-to-energy project emerged simply as a savvy business decision — that when carbon credits didn’t pan out, he moved on to the next project he thought could help him financially. At the outset, managing the equipment installation and operation required a number of tweaks and reworking, and the average businessman probably would have cut his losses and left the project behind. Since 2011, the digester, which converts hog waste to methane, has gone through a number of iterations as Butler tried to figure out the right combination of parts to increase efficiency. Butler’s digester still is not nearly as efficient as it could be, he said. It could be the love of making things work that drives Butler. And then there’s also his clear attraction to entrepreneurship. Before Butler built Butler Farms, where he raises hogs for Prestage, he and his brother started Butler Contracting. That makes his energy production project only the latest in a line of entrepreneurial ventures. But perhaps even more than that, Butler actually believes in his project and what it would mean for the industry if other hog farmers adopted the technology he uses on a large scale. Butler Farms workers change boots between working in the field and entering the barns as a measure against biosecurity concerns. Photo by Kelly Creedon. Some integrators — or companies that use contract farmers to grow their hogs, such as Prestage and Smithfield — are indeed making assets of their lagoons by installing waste-to-energy technologies on their company-owned farms. Summer Lanier, public relations director at Prestage, said the company wants to be sustainable in every sense of the word — economically, environmentally and socially. “We want to help our communities, and we want to be good neighbors,” Lanier said. Prestage has made several sustainability advances, particularly in its poultry division. Lanier said Prestage fully supports Butler and other contract growers in what they are trying to do with hog farming for the environment — just not financially. Lanier said there is a dual motivation for contract growers and integrators alike to implement this technology, even if contract growers are stuck with the financial burden. While for farmers, it might be a matter of doing the right thing, Lanier said, for integrators, it might mean a chance for growth in North Carolina. In 1997, the North Carolina legislature slapped the hog industry with a moratorium that prevented the building or expansion of any hog operation with more than 250 hogs. Subsequent bills made the moratorium permanent for farms that used the lagoon-and-spray field method of waste management. Lanier said new technology might eventually provide an opportunity to expand in compliance with the moratorium. “The other thing would be seeing that technology progresses so that hopefully one day our industry can return to — not full blown expansion, like we’re going to build a bunch of farms here — but we can’t build any farms here,” Lanier said. Smithfield-owned Murphy-Brown is also taking part in several sustainability initiatives, namely two waste-to-energy projects in the Midwest. Kraig Westerbeek, vice president of environmental and support operations at Murphy-Brown, said the company plans to allow a Missouri company to cover some of its lagoons in that state. Murphy-Brown’s other big project in Utah involves swine manure methane-to-electricity, Westerbeek said. There, Murphy-Brown has partnered with an outside renewable energy company, and its farms provide manure for the project but no funding. While integrators are dipping their toes into waste-to-energy projects on their company-owned farms, Butler said he is frustrated with the integrators’ reluctance to make the technology a real possibility for their contract farmers, who he believes are the only reason the industry can get away with the amount of waste it creates. Growers cite a number of reasons why they aren’t so hot on waste-to-energy technology. One is the cost. James Lamb is an environmental specialist at Prestage and contract grower for the company. He said he doesn’t have any sustainability initiatives on his farm because the technology isn’t affordable for him yet. “When you look into the expense of the digesters and and all that, that’s one of the reasons that it (widespread adoption) is not working,” Lamb said. Butler’s entire system cost more than $1 million. He paid for his project mostly through grants, but he still contributed $50,000 of his own money plus thousands of dollars in labor and maintenance costs. Butler said he gets a $8,000 to $10,000 check every month from his utility company for the electricity he sells back to the grid. But with overhead and the cost of installing and maintaining the digester and generator, if Butler hadn’t used grants to pay for them, he’d be in the red. “Right now, it doesn’t pencil out at all, if it had cost out of my pocket,” Butler said. Most growers aren’t willing to take on that kind of financial risk if they can’t be sure they’ll break even. Then there’s the fact that many North Carolina hog growers are ideologically conservative. 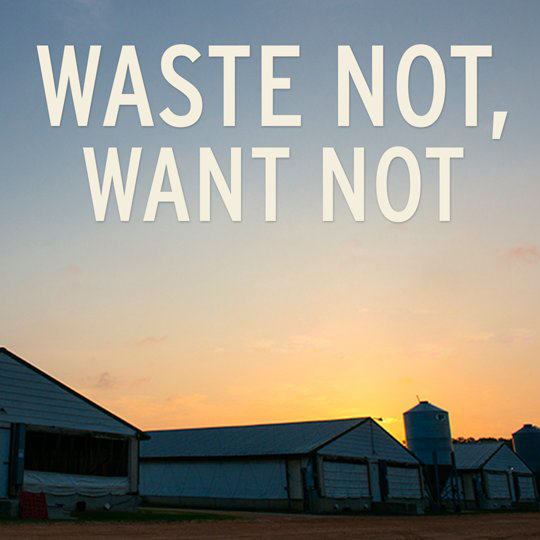 Many aren’t willing to apply for grants to fund waste-to-energy systems on their farms, even if it meant the system would be entirely paid for. Mike Williams is director of the Animal and Poultry Waste Management Center at North Carolina State University. He said ideology makes a big difference in getting growers interested in accepting government-provided funds. “I have had producers tell me, ‘If I’m participating in a project that is incentivized by the government at all, that’s a hard thing for me to discuss with my family around my dinner table,’” Williams said. Finally some offer an explanation for growers’ reluctance that might seem counterintuitive. Growers sometimes aren’t willing to participate in energy projects because these ventures might allow the hog industry to expand in North Carolina. Because the industry hasn’t found an alternative to lagoons that wouldn’t increase its bottom line, the number of hog operations is static in North Carolina. For the individual growers in the state, that means their permits to run hog operations are extremely valuable because there is a limited supply. They could command higher prices if someone wanted to purchase their farms. If the industry were to adopt a waste-to-energy technology that would allow it to expand under the moratorium, current growers’ permits would lose their value. Angie Maier, a lobbyist for the North Carolina Pork Council, said the idea of expansion is not well met by the state’s growers. “If I go down to a meeting with hog farmers, and I start talking about new technologies or something about the moratorium,…our growers would be up in arms big time, angry,” Maier said. Tom Butler’s lagoon covers trap greenhouse gases. Pipes running under the covers send methane between the lagoons and digester and to the generator to produce electricity. Photo by Kelly Creedon. This seeming unwillingness to embrace new technology might be why integrators are “tight-lipped” about their waste-to-energy projects, as Butler describes them. Tight-lipped, that is, until a threat surfaces to the economic sustainability of their waste-to-energy projects or to the tax breaks they receive from participating in them. In 2013, executives from Murphy-Brown testified before the state legislative Commerce Committee in support of the renewable energy portfolio standard (REPS) when it came under an attack led by state Rep. Mike Hager. The standard requires public and private utilities to buy a certain percentage of energy from renewable sources, including from swine waste-to-energy sources. Many states have similar bills, meant to spur development of renewable energy technologies. But North Carolina is the only state that requires utilities to purchase a certain amount of renewable energy from swine waste-to-energy sources. Hager went after the standard in the 2013 North Carolina session on the grounds that it drives up energy costs and, therefore, drives away potential manufacturing companies, who Hager sees as job creators. “We want to try to minimize what I call the upward pressures on energy prices. Because that’s how you attract businesses — that’s how you attract manufacturing back,” Hager said in a telephone interview. Maier and others who keep their eyes on the N.C. Legislature believe Hager will renew his efforts to dilute the standard in the 2015 legislative session. When asked if he has plans to do so, Hager said the next session was too far off to say, but that if he did bring it up, he believes he would have the votes needed to change the law. Many, however, hope that is not the case. Some North Carolina businesses are counting on the renewable energy portfolio standards to stay afloat. Al Tank’s company, Revolution Energy Solutions, develops sustainability projects and sells technologies to agricultural entities that want to produce renewable energy. He said Senate Bill 3, the bill that created the standard, presents the company with significant business potential. “We’re strong supporters of Senate Bill 3. It is the reason why there are opportunities in North Carolina in swine waste and poultry waste energy projects,” said Tank. Revolution Energy Solutions has installed its technology on one of Murphy-Brown’s largest contract farms in North Carolina and plans to continue installations on other company farms, Westerbeek said. In terms of the future of the relationship between the North Carolina hog industry and sustainability, Tank said it’s up to the state itself. If the renewable energy options provided for in Senate Bill 3 are the only reason Tank’s company is in North Carolina, they are also the only reason that Tom Butler can get on the electrical grid, an essential step for making Butler’s system economically sustainable. Without the standard, requiring purchase of renewable energy from swine waste, utility companies would have no incentive to buy electricity from Butler when their traditional coal and oil sources are cheaper. “The power companies are kind of different about their renewable energy because it costs them money,” Prestage’s Lanier said. Randy Wheeless, communications manager at Duke Energy, North Carolina’s largest utility, said buying energy from swine waste sources isn’t as attractive as buying it through other renewables. Publicly, Duke maintains its support of Senate Bill 3, particularly the renewable energy portfolio standards. Duke was a collaborating partner in constructing Senate Bill 3 and the standards, said Jonathan Byrd, renewable strategy and compliance manager at Duke. Any costs that the company incurs as a result flow directly through to Duke’s customers. Butler certainly hopes the standard survives the next legislative session, and his plans reveal his optimism that it will. He’s planning a trip to Denmark to check out new parts for his generator and has his eye on a part in China. He’s also thinking of adding chicken litter to his digester. If he can live long enough, Butler said, he believes that one day he’ll have a system in place that will “just sit there and make money.” And once he achieves that, he believes more growers and integrators will get on board.